BriefCam, the industry’s leading provider of Video Synopsis and Deep Learning solutions, today announced v5.3 of its innovative and extensible video content analytics platform. 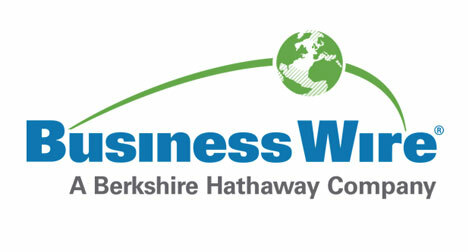 Read more on Business Wire here. This is a guest post by Joel Tsafrir featuring an interview with Yigal Unna, Director General the Israeli National Cyber Directorate (INCD). As early as 2002, before the cyber hype began, the Israeli government already defined the issue of information security as an essential domain for the country and placed the Israeli Security Agency (“Shin Bet”) in charge of protecting the information at the national level. Since this decision took place, no damage accrued to Israel’s critical infrastructures, even though these facilities are the target of daily cyber-attacks, and although the rate of attempts to attack them is constantly increasing at a rate of 25% per year. Today, the overall cyber responsibility lies with Israeli National Cyber Directorate (INCD), which integrates together two government agencies used to operated separately in the areas of cyber protection and the construction of technological power. We sat down with INCD’s Director General Yigal Unna to learn more about the ‘triple mission’ of the organization. “The INCD, which operates directly under the Prime Minister, is a security-operative, non-secretive body that is designed to verify – through various tools and means – that the Israeli civilian cyber space is fully protected,” says Unna. “I underscore our responsibility for the civilian cyber space because the army dominates the military cyber sector,” adds Una. “In the civilian sphere, we operate as overall authority, working closely with all the other operational players, including the army, which has a fairly common interface with the civilian sector, especially with regard to protecting the home front during wartime. Other players are the Israeli Security Agency, whose responsible for the prevention of terrorist threats, including cyber-terrorism, and the Police, which is responsible for the criminal side. According to Unna, alongside the mission to ensure that the civilian cyber space is protected, the INCD works simultaneously to ensure that the Israeli digital space will serve as enabling force. Meaning that the vital flow of information between the systems continues uninterrupted and that the digital capabilities will continue to ensure Israel’s economic, social, educational and security development. An additional, third, objective of INCD is to continue and strengthen Israeli technological development in cyberspace and to ensure that Israel is a global cyber power: “We are working to ensure Israel’s continued leadership in the global cyber arena in the technological, organizational and security aspects,” emphasizes Unna. “This means both nurturing Israeli human capital and cultivating the technological-security-academic ecosystem that has been created here in recent years and which underlies Israel’s relative advantage in the world. After all this, the question arises: What is Israel’s national cybersecurity strategy against the threats that lie ahead? According to Unna, this strategy rests on three layers he characterizes as: Robust, Resilience and Defense. “The layer of Robust is similar to that of preventive medicine in the field of public health,” he explains. “This means that we are taking a proactive policy and developing security tools even before the events take place, and if we use the example of medicine, we do not wait for the disease to appear, but rather act to immunize the body so that it can deal with it in due course. “In practical terms that means that all the relevant bodies and agencies in the economic and infrastructure sphere in the country will be equipped with clear instructions and that all essential emergency services will follow the guidelines we dictate. We have identified some 40 critical infrastructure facilities, which are core systems, and we provide them with the latest knowledge and best-practice, while ensuring that they have coping capabilities and safeguards. Those instructions are mandatory, but the government is working nowadays to include sanctions on failure to comply with regulatory obligations in the cyber area. “As far as Resilience is concerned, we are working to ensure that once these and other systems are indeed damaged, they will be able to recover quickly and continue functioning, after they have discovered the threats and acted to minimize the risks”, adds Unna. “This reference is to all levels of civilian activity and not only to national security systems. In the context of the civilian cyber space, Unna also mentions the work of the national CERT, manned 24/7 by expert analysts in cyber defense, providing an initial response to the handling of cyber-attacks. Next to CERT, there is a social network where reports of security events flow, and it provides its members with a target and direction to address them. “The final quality of any national cyber-security effort is, after all, the sum of all country’s resources: human capital, the knowledge, the capabilities, the insights and the technologies developed, and we are working on developing and empowering each of these components,” concludes Unna. “In order to realize this, we are operating a unique model relies on a network of collaborations, both on the security and civil levels, with synergy between them. Get a front row view of today’s technology pushing the future of cybersecurity. OurCrowd is pleased to partner with the Israel HLS & Cyber 5th International Conference & Exhibition, to be held on November 12-15, 2018, in Tel Aviv, Israel, focusing on the challenges, threats and solutions in Homeland Security and Cyber in the areas of: cybercrime, aerospace and critical infrastructures, finance, intelligence, terrorism, and in the field of homeland security. Alongside the conference, a professional exhibition will be presented, in which 160 Israeli companies will display their innovative technologies. Click for details and registration. International guests can receive a $100 registration discount; use code DA626621. The following is an excerpt from the OurNetwork Q3 Innovation Report, downloadable here. “Corporate Innovation” is a phrase that has been thrown around a great deal over the past decade. For many reasons, it has become obvious to global corporations that an innovation model that relies solely on the R&D department or innovating internally will lead them on the path towards obsolescence. 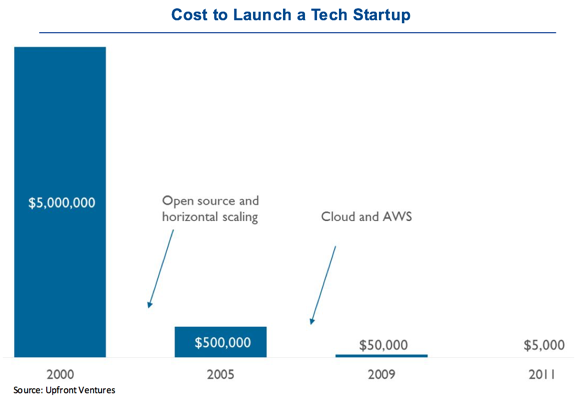 This relatively newfound sense of urgency among corporates is prevalent due to various factors — one being that the cost of launching a startup decreased by 99.9% from 2000 to 2011. This paved the way for the widespread acceptance and practice of the “Lean Startup” methodology, introduced in 2008, within entrepreneurial communities — and even conglomerates like GE — around the world. Sometimes, corporate innovation is real and has yielded tremendous outcomes for both the startup and corporation. On other occasions, it is just fluff — what CB Insights correctly dubs as Corporate Innovation Theatrics (introducing open floor spaces, trips to Silicon Valley to demonstrate that your firm embraces startups, emblazoning “Innovation is in our DNA” across your “About Us” section, etc.). 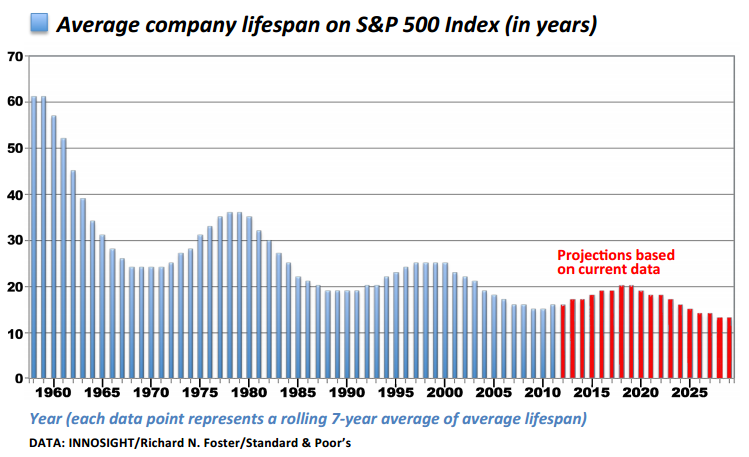 As the average lifespan of successful companies shrinks to an all-time low, one thing is clear: successful companies don’t adapt, they prepare. Nobody wants to be the next Blockbuster, MySpace, or Kodak, which went from 170k employees and 85% market share in 1998 to having their business model completely disrupted by digital in three short years. There are, of course, many reasons where corporates and startups working together would be a recipe for disaster that are oft-mentioned. These are boiled down to cultural dilemmas — a prime example is the corporate “bear hug” of startups, where corporate processes and 100-page “Terms & Conditions” sheets end up stifling the startup’s autonomy and freedom of action. However, as growth in Deep Technology (AI, Machine Learning, Drones/Robotics) startups begins to surge — the number of AI startups in Israel alone has nearly tripled since 2014 — the imperative for startups and corporates alike to work through these cultural differences is more critical than ever. The “lean startup” methodology doesn’t apply to Deep Technology startups…yet. Due to its blending of science and technology, they face unique problems that a majority can’t simply solve from their garage or with the help of a group of mentors. These problems, according to a BCG Research Report on Deep Technology Startups, can be boiled down to (1) a protracted time-to-market, (2) complexity of new technologies, and (3) a crucial need for capital early on. The first two problems can be — at least partially — remedied via partnering with corporates, as AI & Machine Learning startups need large amounts of data to train their algorithms & execute on their vision — and corporates have a substantial supply of it. Additionally, finding that “killer app” or product-market validation can be achieved via commercial pilots with large companies. The complexity of the technologies involved and the deep expertise of the teams required also necessitates the demand for more capital early on than mobile startups of the past decade. The dilemma is that as the size of Series A rounds have increased so have the milestones required to obtain that money. This has made raising money an even more hellish experience than it already is for Deep Technology startups, considering that many require expensive equipment to experiment and prototype. In 2016 alone, according to a recent McKinsey Global Institute Study, tech giants including Baidu and Google spent between $20B to $30B on AI, with 90% of this spent on R&D and deployment, and 10% on AI acquisitions. The roadblocks towards corporate innovation in this new technological frontier are, of course, the same as they have been in the past — lack of support from C-level management, innovation-hindering corporate processes, and more — but the implications, like with the introduction of digital and social media, are the same. Early adopters who’ve already begun marching on the path towards AI development and capabilities are starting to build competitive AI moats via data network effects. Eventually the gap will be too wide for those arriving late to the AI party to catch up. Unique among early stage investment vehicles for the breadth of its network, F2 Capital maintains strategic partnerships with global giants like HP, SAP, Munich Re, Enel, Deloitte, as well as broader corporate partners eager to facilitate “win-win” commercial pilots. For startups at the cross section of Big Data, Artificial Intelligence, and Connectivity, this translates to access to huge data sets and global customer traction. As part of its core investment strategy, F2 Capital also set up and operates The Junction, a six-month execution platform (and Israel’s first commercial accelerator) for deep technology startups. Corporate partners are heavily involved in the selection process of the 5 startups that participate per wave for the program — from initial scouting to interviewing and ultimate selection. Partners then influence the development roadmap to ensure resources are prioritized for the biggest commercial opportunities. This unique model for corporate early stage collaboration has seen the development of new forms of insurance, digital transformations of supply chains, and next generation cybersecurity solutions developed and deployed with end customers. F2 Capital provides $100,000 to each company to cover the practical expenses of flights, as well as R&D, and stands ready to deploy roughly 10x more capital in the next financing round of companies that execute and validate their product market fit. 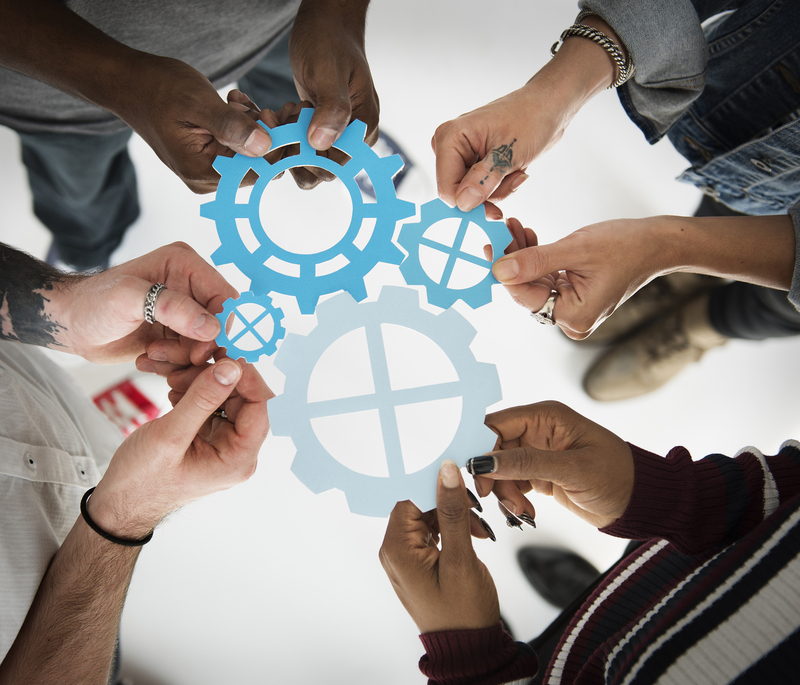 Despite the very real threat of being made obsolete for not innovating fast enough, conditions are ripe for win-win partnerships and the opportunities are out there. While 95% of 400 deep technology startups surveyed by BCG wish to develop long-term corporate partnerships, only 57% have done so. We believe that the latter percentage will climb to meet the demand for partnerships, and aim to expedite the growth of these partnerships in Israel. Interested in more content like this? Download the Innovation Report here. It is a common misconception that investing in startups is for the uber-wealthy, venture capital and angel investing insiders; being exclusive and risky — an alternative asset class where losing is part of the strategy. That being said, no one will advise you to put a large percentage of your savings into early stage companies. However, if you allocate 5% of your overall portfolio into startup investments you can increase returns and reduce risk. According to a SharesPost whitepaper, if you allocate 5% of your investments to private growth companies, you can increase the returns of a traditional portfolio by 12%. Successful venture capital firms generate approximately 80 percent of their returns from less than 20 percent of their investments. So I know my odds are 90 percent of my cash returns will come from 10 percent of the winners. The next question is: how many companies should you invest in to create a diversified startup portfolio? Experts from the Kaufman Foundation Returns to Angel Investors report and Dave S. Rose in his book Angel Investing: The Gust Guide to Making Money and Having Fun Investing in Startups suggest investing in 12 to 15 companies to generate a 2.6 times return on your investment in three to five years. According to the Siding with the Angels report by Nesta, of the ten startups they recommend as the minimum number to invest in: 1 or 2 businesses soar, 2 or 3 will do okay, and the rest will fail. Again, if done properly, the returns can far outweigh the losses, allowing investors to generate around 25% ROI per year. The final question is: what is the basic criteria to create a diversified startup investment portfolio? Fortunately many online investing platforms, including OurCrowd, has startup investing funds where you can invest $50K into multiple companies that experts choose and manage. But if you have the time and the interest to choose the companies, you can do it with these three basic rules. Each of the companies should range in  the stage of the life of the company (based on time and progress),  the industry or sector (advertising, financial, health and wellness, cyber security, e-commerce, mobile, etc. ), and  geography (US, Israel, India, etc.). There are plenty of materials written about specific criteria on how to evaluate and choose startups. But a good rule of thumb is you should invest in ideas you understand and select every investment as though it’s your only one. If you lower the bar you will only build a bad portfolio. To start creating your own startup investment portfolio I encourage you to visit the online equity crowdfunding platforms that allow you to invest in vetted startups alongside other angel investors and venture capitalists. First-time investors need to remember that backing private startups is risky and is very different than investing in public stocks. Risks aside, there are strong reasons for smart investors to diversify their portfolio and allocate a small percentage to startups. Join OurCrowd for a live demo of Replay Technologies at the company offices in Tel Aviv on November 2nd, 2015, at 6:00PM — RSVP here. Oren Yogev, CEO and co-founder of Replay Technologies, OurCrowd’s latest investment opportunity, is reinventing the sports-viewing experience with Free-Dimensional Video. freeD is a video format that gives sports fans a dynamic 360 degree, 3D viewing experience of their favorite professional sporting events. 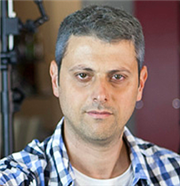 A Technion-trained physicist and electro-optical engineer with a deep background in high-end military technologies, Oren has spent more than a decade working on laser guidance systems, drone manufacturing, and video recognition platforms. OurCrowd Investment Analyst Avi Lozowick recently interviewed Oren about Replay Technologies’ revolutionary free-dimensional video technology, and the transition of military technologies and innovations to commercial use and civilian applications in general. Avi Lozowick: So how did Replay get started– what was your ‘kick-off’ moment? Oren Yogev: The ‘kick off’ moment was post the successful experiment results of our prototyped volumetric video capture we did during the Olympics training camp in Q4 2011. Post that experiment we got an MOU from the International Olympic Committee reflecting their interest in using our services during the 2012 Olympic games. Avi: You’ve worked on military drones in the past, among other defense projects. What led you to go from a military background to video technology? Is there a connection? Oren: The connection is clear. During my extensive career years before Replay – I was involved mainly in Aerospace and defense projects, which delivered high-end imagery and video solutions. The operational mode of getting an extensive and remote viewing experience on satellites and drones planted the seeds of the vision to create a unique and remote viewing experience for sports and media applications. Avi: What was the most difficult technological challenge you needed to solve in order to get Replay to where it is today? Oren: The ability to reconstruct multiple figures in dense environments and outdoor conditions in almost real-time made the breakthrough for us to operate and implement our products into team sports, which are most popular and valuable to consumers as premium content. Avi: What was it like working with major league stadiums who use FreeD? Oren: The experience mostly is great. The ecosystem in the sports industry is result driven, no time for losers. Things are moving fast and the relevant stakeholders work as a team to generate value to their audiences. Once you are on board the sky is the limit. Avi: How do you think people will watch sports in five years? Oren: Watching television in a traditional lean-back manner is no longer applicable in today’s digital world where consumers crave constant interaction with their favorite games, content, and TV shows. The internet and portable screen devices have turned consumers into lean-forward viewers, who require interactivity and fun to remain invested in a program. Consumers will be less interested in a simple television watching experience, but interacting at the highest level. In five years from now cord cutting platforms will be a substantial viewing preference for sports. Thank (or blame..) the Millennials. Most of them aren’t cord cutters, they’re cord ‘never’s… They’re used to consuming all of their entertainment online and don’t care about any stations they may have been missing. As this group becomes the next wave of big earners in 2020 and beyond, media companies want to make sure they’re giving them plenty of options to spend their money on premium content like sports. This is where freeD can play a major role. Avi: What advice would you give other entrepreneurs about going from an idea to successful execution? Oren: Work hard. Enjoy it. Be nice. Play fair. Delegate. Dream to leave something big behind you. We only get a few chances in this lifetime. If you’re going to play this game, make sure you play it to win. To find out more about Replay Technologies and other investment opportunities on our platform, contact our Investor Relations team or visit our website. 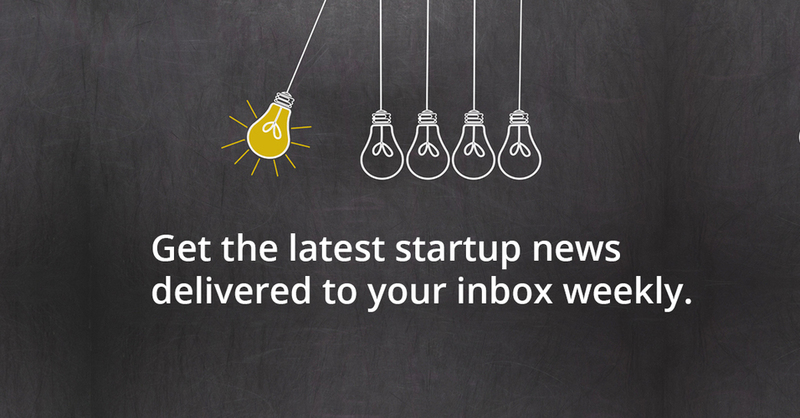 Want to learn more about investing in startups? 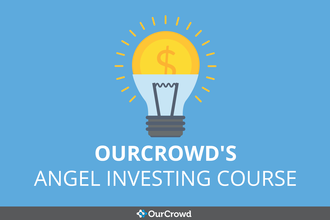 Learn from seasoned investment professionals in this angel investing course, delivered over 8 days via email. Everyone dreams of making a difference in the world, but how many people have the means to do so? The rising trend of Impact Investing makes that worthy aspiration a very promising reality. By investing in companies offering products and services geared towards global impact, this niche sector combines social responsibility with financial returns. A Financial Times survey of 143 big investors indicates overall satisfaction with both financial and social returns on impact investments. Promisingly, these investors expressed intent to raise their investments by 16%. Another measurement of success is the Impact Investing Benchmark, a joint venture between Cambridge Associates and the Global Impact Investing Network (GIIN). The IIB is a “comprehensive analysis of the financial performance of market rate private equity and venture capital impact investing funds,” which has proven instrumental in indicating the benefits of this field. An analysis of 68 Impact Investment funds between 1998–2010 indicated a 6.9% return to investors, with small funds returning 9.5% and Africa-focused funds returning 9.7%. This benchmark has even outperformed comparative conventional PI funds. The GIIN was also involved in developing the Impact Reporting and Investment Standards (IRIS), an initiative designed to collect and quantify crucial success indicators from impact companies. The 2011 report found that 70% of these companies were profitable, with 77% profitability in the energy sector. Big name firms such as JP Morgan and BlackRock have also joined the trend, lending a stamp of legitimacy to the initiative and its financial prospects. 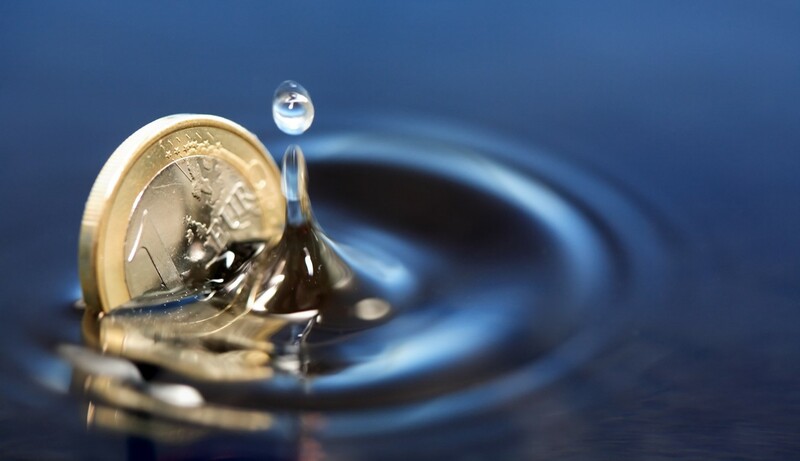 The two aspects of Impact Investment have deep roots in Israel. Since its inception, Israel has been an agent of social impact throughout the world, from sending first responders to areas suffering from natural disasters all the way to providing poor African countries with solar energy panels. And from the investment angle, Israel has become known as the Startup Nation for its flourishing community of tech start-ups that have generated massive returns for investors. Together, this has resulted in major contributions to industries ranging from medicine to the environment and everything in between. In March, the first ever Impact Investing Israel Conference brought together investors, impact funds, and companies to collaborate on development in this arena. Part of OurCrowd’s mission is bringing together (currently, more than 9,000) investors to fund the companies that will mold our future. OurCrowd CEO Jon Medved has said that “crowdfunding is a perfect way to raise funds for impact investing.” In fact, OurCrowd’s first successful exit in 2013, ReWalk is perhaps a good example of investing for the greater good: with a $3.8 million OurCrowd investment, the company developed a revolutionary exoskeleton walking device for paraplegics, providing a game-changing capability for over half a million people suffering from spinal cord injuries. OurCrowd has continued investing in this life-altering and life-saving industry, successfully funding 11 additional medtech startups. Among them is HIL Applied Medical, a company that has developed a high performance accelerator for cancer proton therapy, radically reducing the cost and bulk of this treatment and making it more accessible to patients. Also notable is Sight Diagnostics, a more efficient blood diagnostic system intended to improve the 300 million malaria tests annually, and potentially saving many lives. 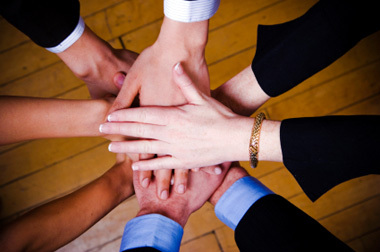 OurCrowd’s involvement with socially-impactful companies extends beyond medicine as well. Lucid Energy’s eco-friendly waterpower system makes water power and cheaper and more accessible alternative energy source to farmers. And Clipfort’s state of the art owner identification system has the potential to limit gun violence without necessarily limiting guns. These companies and others like them have been both good investments and investments in good. 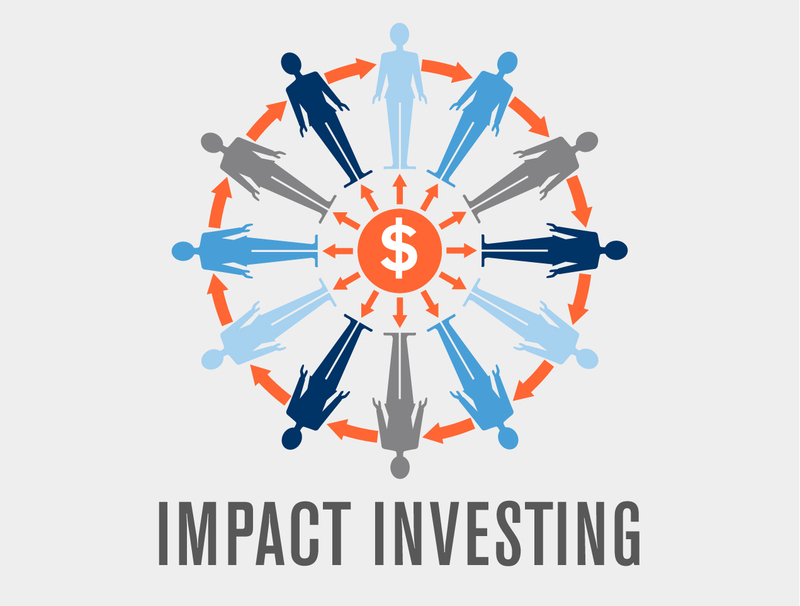 Want to get in on impact investing? Learn more about OurCrowd or visit the portfolio pages here. 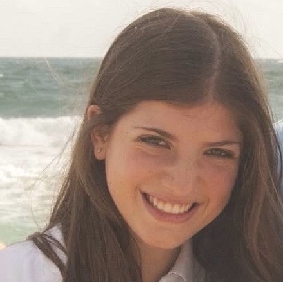 Marissa is a summer marketing intern at OurCrowd. She studies Political Science at Columbia University. Real estate and startups? For most people, there might not be an immediate connection between the two industries. 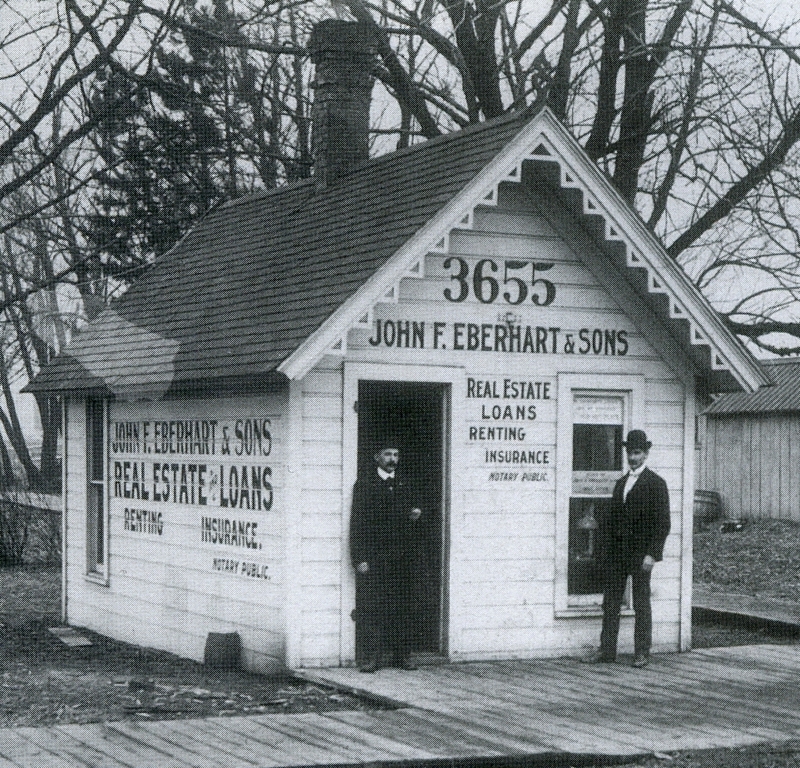 Real estate has been around as an industry for hundreds, if not thousands of years, and is generally regarded as a multigenerational business. 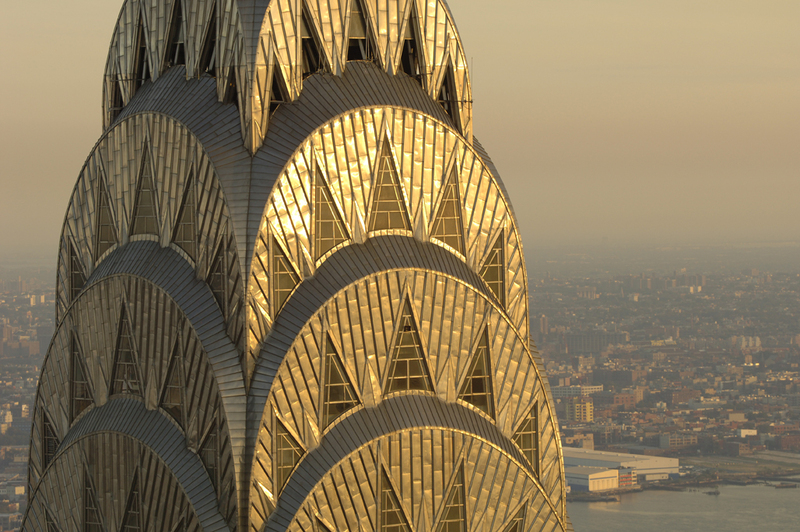 In New York City, for example, eight of the ten largest commercial landlords were founded before 1985, a testament to the enduring nature of real estate empires. In stark contrast, the startup world has come about within the last few decades, and many success stories, such as Facebook and Uber, have achieved unicorn status after only a few years. It would not be unreasonable to regard these two businesses as fundamentally separate from one another, but the last few years have shown that the reality is far different. In fact, there are a few unique features of real estate that have made it an ideal new frontier for the startup world. The most crucial characteristic of the real estate sector is its size. 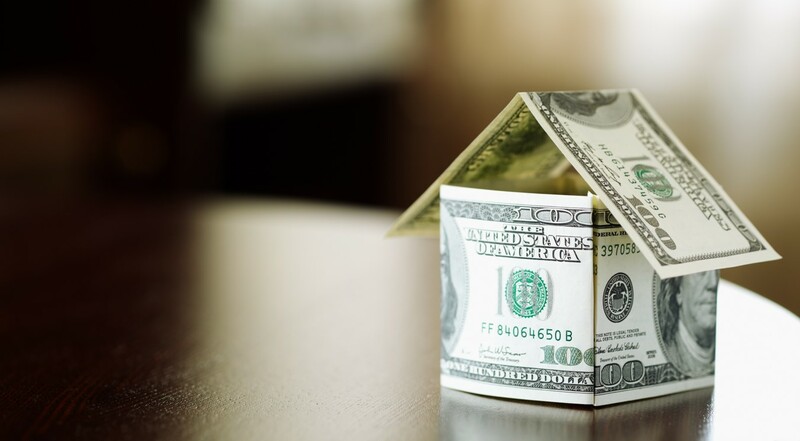 According to a 2014 Federal Reserve report, the United States residential and commercial real estate markets were valued at approximately $25 trillion and $13 trillion, respectively. Doesn’t it make sense to suggest that a nearly $40 trillion market might provide more opportunities for entrepreneurship and innovation than a relatively small niche asset class worth only a few hundred million dollars? To break it down in simple terms: A larger market equals more money. Additionally, there is a greater opportunity to create positive social impact within real estate entrepreneurship than in other, smaller industries. A venture that has the ability to serve every person who owns or lives on a piece of property has the chance to make more of an impact than a startup which focuses on an esoteric segment of the population. A second attractive aspect of the real estate industry is that it is here to stay. There are so many fad industries (Pet Rock, seriously? ), and when a startup targets an industry that may be “here today, gone tomorrow,” it runs the risk of failing if that target industry ceases to exist. On the other hand, an investment in a house will not disappear overnight. True, an investment in real estate may diminish in value, as witnessed during the crisis of 2007-2008. However, while the value of individual properties may fluctuate from year to year, the industry will remain for the foreseeable future. The multi-family home and office building are not going the way of the VCR and phonograph, two products that were rapidly phased out with the development of new technology. At the moment, it does not look as though there is anybody who is developing living and working spaces that exist without walls or indoor areas (yes, Elon Musk, that is a challenge), which is promising for the real estate industry moving forward. Finally, while many asset classes — like bonds and stocks — are mainly the focus of professional investors and wealth managers, nearly everyone comes into contact with the real estate market at some point or another. These ordinary real estate buyers often do not understand the complexities of financing and managing a property. For a potential homeowner or tenant that has no professional experience in real estate or finance, buying or renting a home can be a daunting experience. This has presented entrepreneurs with an interesting opportunity to help solve a problem facing the millions of individuals who deal with property transactions each year. While in the past brokerages have assisted prospective buyers with the financial ins and outs of purchasing a property, startups can offer solutions that are lower maintenance and more affordable than their traditional counterparts. During the last few years, investors and venture capitalists have started to take advantage of the massive opportunities that lie within the real estate startup industry. In 2014, venture capital funds invested $605 million in real estate technology firms, an increase of over 250 percent from 2013. Additionally, online residential real estate database Zillow acquired its main competitor, Trulia, for $2.5 billion in February 2015, signaling that real estate tech has established itself as a formidable category in the startup universe. The external factors all line up in real estate’s favor, but as with any industry, the promise of a startup lies largely in its technology. Real estate tech startups are finding ways to streamline the process and provide assistance to every player in the game. Amitree, a step-by-step custom platform, assists homebuyers as they trek through the long and complicated home buying process and facilitates seamless communication between agents and buyers. On the other end of the market are the real estate sellers, who can now easily be matched with top-rated realtors through MyAgentFinder. Then there is the large pool of people who are looking to buy, but need a little help with the financing – for this, there is Lenda, an online mortgage and refinancing service that boasts a fast and cheap loan process. 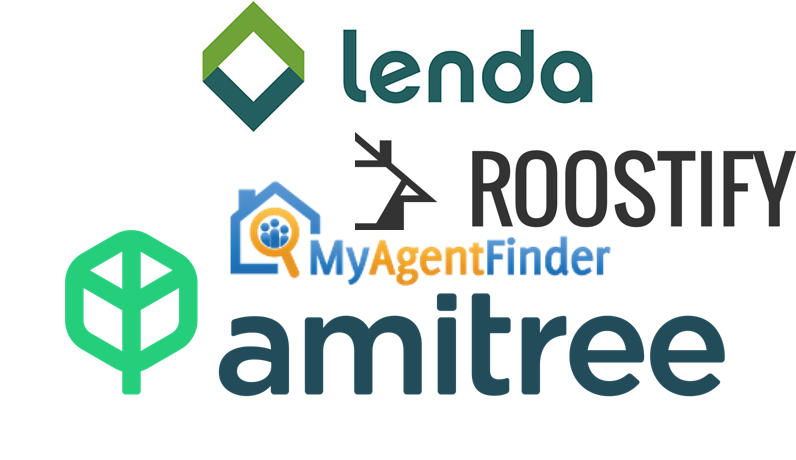 And for the lenders there is Roostify, a cloud-based mortgage software service that converts mortgage applications and brings the closing process to the Internet. Real estate tech seems to have something for everybody and even has the uncanny ability to solve problems we never even knew we had. Startups such as these and many others have infused this centuries-old industry with modern excitement and vigor. OurCrowd has also identified this growing industry as a key game changer in the tech world and currently invests in three real estate tech companies. To find out more about these investment opportunities and others on our investment platform, click here. Special thanks to OurCrowd intern Marissa Young for her assistance in the preparation of this article! 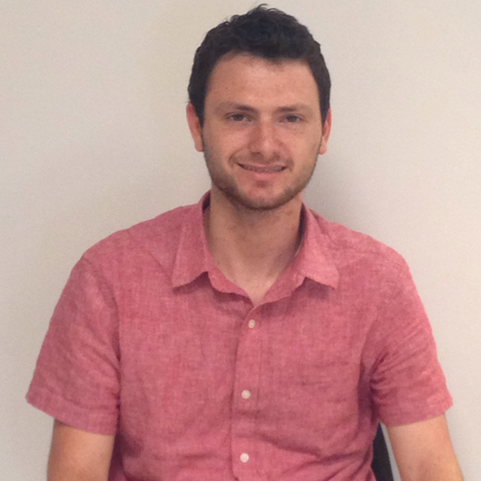 Eric is a summer intern in the marketing department at OurCrowd. He is entering his junior year at the University of Pennsylvania. This guest post was written by Christian Cotichini, co-founder and CEO of HeroX, the world’s problem solver community. 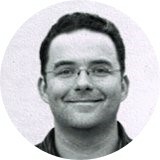 Christian has over 20 years of experience leading startup and high growth technology companies; he is an active angel investor and mentors startup entrepreneurs. Here we are, about two years into the HeroX experiment: what happens when we unleash the power of incentive challenges to everyone, anywhere, in the whole world? So far, I couldn’t be happier. I co-founded HeroX together with Peter Diamandis and Emily Fowler from the XPRIZE Foundation. Peter, of course, needs little introduction. Inspired by the original Orteig Prize, which took Charles Lindbergh across the Atlantic Ocean in 1927, Peter created the Ansari XPRIZE, a $10 million prize awarded to the first private reusable spacecraft to reach an altitude of 100 km, twice within two weeks. The prize was won in October 2004 by Scaled Composites, and the technology was licensed to create Virgin Galactic. Within the next few years, the general public will be able to get their astronaut wings. From this revolutionary beginning, the XPRIZE Foundation was created, to use the power of incentive challenges to solve some of the biggest problems that humankind faces: education, medicine, and the environment. My co-founder, Emily Fowler, cut her teeth designing some of the most impactful challenges unleashed by the XPRIZE. But the problem has always been one of focus. The XPRIZE Foundation only has the bandwidth to deal with a few fundamental challenges at a time, like the Qualcomm Tricorder XPRIZE, to revolutionize health care diagnosis, or the Google Lunar XPRIZE, to send a private rover to the Moon. Peter, Emily and I knew this technology had the potential to make an even deeper impact, unleashing breakthroughs across every part of society – if they could just give everyone the tools. This was the vision for HeroX, to become the world’s problem solving platform. What if there were no barriers to creating your own XPRIZE-style challenge, just the willingness and ingenuity of the crowd? We’ve already seen what can be done with so many other crowdsourcing/crowdfunding concepts: Wikipedia, AirBnB, Indiegogo, GoFundme, and many others. Why are these organizations succeeding? They trust in the crowd. I believe that the crowd knows more about achieving breakthroughs with incentive challenges than we ever will, we just need to give them the tools. Crowdsourcing pushes the power away from the gatekeepers, the middlemen, to the endpoints of the Internet. What if anyone on Earth could design and launch an XPRIZE-style challenge? What if entire communities that cared passionately about the outcome could raise the funds to incentivize the breakthrough? What if anyone, anywhere, could compete to solve the challenge? So we created a platform to give everyone the tools: HeroX.com. I’m really proud of what we created in these two years. We built an amazing and robust platform that lets anyone create, launch and run their own incentive challenge. Seriously, if you’re inspired by the XPRIZE and want to try this out for yourself, you can get started today. Now it’s time to take things to the next level, and get more people using it. We need more challenges on the platform, and we need to learn what it’s going to take so that anyone can create breakthroughs for what they care about. It’s time to raise some money and scale up our business. In our industry, we use a term called “dogfooding”, which means that if you’re going to trust your business to a concept, like “crowdsourcing”, you should go all in. You should be willing to eat your own dogfood. And we’re all in when it comes to the crowd. Instead of going the traditional venture capitalist route, we’ve decided to partner with a crowdsourced financing company called OurCrowd. OurCrowd is a really amazing concept. It allows accredited investors from around the world to pool their funds and act like a larger venture capitalist. OurCrowd provides the tools, analysis and due diligence to protect the investors, but also gives them opportunities to which they wouldn’t normally have access. Investment and venture financing is due for some disruption, and the solution, as always, will come from the crowd. 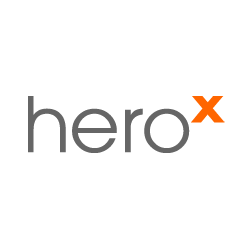 You can read more about OurCrowd’s decision to back HeroX here. Thanks to all our clients, partners and my amazing team. I’m really excited about this next stage for HeroX. Want to learn more about HeroX? Join our conversation with XPRIZE Founder, Dr. Peter Diamandis, and SaaS entrepreneur, Christian Cotichini, who pioneered the incentive finance model of global problem solving. Opinions expressed within this article are those of the author and do not necessarily represent our opinions.